Biox Anti-Aging Complex is a targeted, skin-relaxing complex for an intense anti-wrinkle effect and is an alternative, safe solution to injections of Botulinum toxin. Spontaneous and regular face movements show our emotions throughout the day and mark the skin with lines of varying depth known as expression lines.This complex, rich in mineral salts and Dead Sea minerals, offers a cosmetic solution to reduce tension in subcutaneous muscles and lessen the effects of time. It dramatically reduces wrinkles, prevents skin sagging, and adds tone and elasticity. This advanced patented technological approach provides an immediate optimized lifting and anti-aging effect. The skin is left firmer, more radiant, and younger-looking. Biox Anti-Aging Complex is a targeted, skin-relaxing complex for an intense anti-wrinkle effect and is an alternative, safe solution to injections of Botulinum toxin. Spontaneous and regular face movements show our emotions throughout the day and mark the skin with lines of varying depth known as expression lines.This complex, rich in mineral salts and Dead Sea minerals, offers a cosmetic solution to reduce tension in subcutaneous muscles and lessen the effects of time. 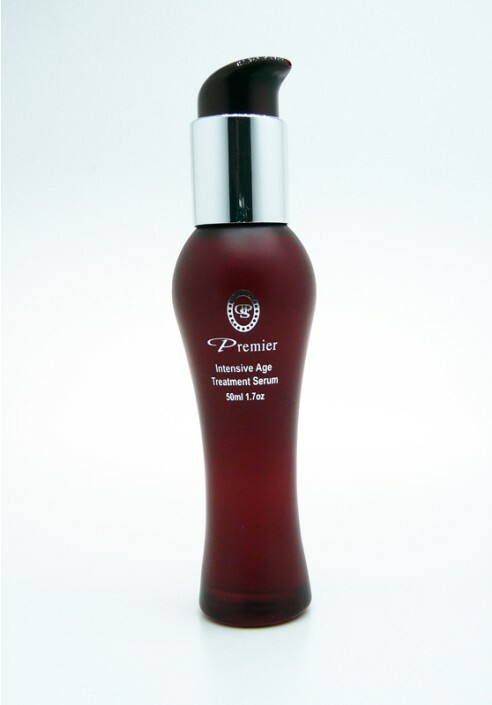 It dramatically reduces wrinkles, prevents skin sagging, and adds tone and elasticity. This advanced patented technological approach provides an immediate optimized lifting and anti-aging effect. The skin is left firmer, more radiant, and younger-looking. Application : Onto cleansed skin, apply twice daily in soft circular movements until absorbed. For intense action you may apply on top of the serum our Intensive Age Treatment Cream. Premier has philosophy of bringing together the glorious resources of nature`s own wisdom-the Dead Sea, with cutting edge scientific discovery to deliver benefits that are derived from the harmony and synergy of these two awesome theatres of wonder. Combining patented, award winning technology with all natural plant and mineral ingredients, Premier brings to you luxury skincare in products so effective, they deliver exactly what they promise.